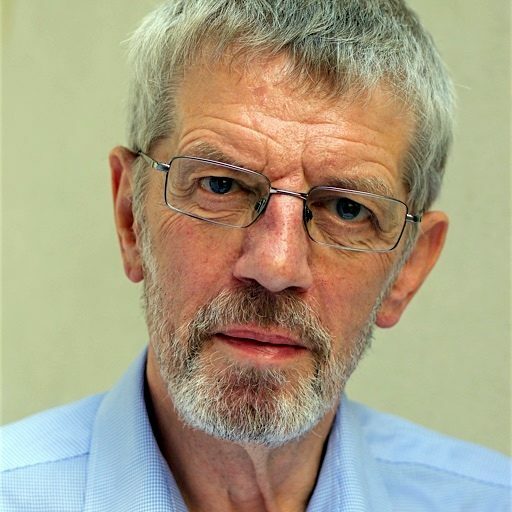 Frank Cramner is a Fellow of St Chad’s College, Durham, and an honorary Research Fellow at the Centre for Law and Religion, Cardiff University School of Law & Politics. Living as I do in the country in which one sees an increasing distaste for the European Convention of Human Rights and regular media criticism of the ‘unelected judges’ in Strasbourg – and that despite the fact that the judges of the Court are, in fact, elected from a slate of three by the Parliamentary Assembly of the Council of Europe – I cannot help wondering whether the disconnect is anything very new. I spent thirty-six years working in the administration of the House of Commons, and if that experience taught me nothing else it taught me this: that, on the whole, UK politicians – whatever their protestations to the contrary – give a very strong impression of not liking foreigners very much. Witness our lukewarm membership of the EU: the UK never bought into the European Idea, and much of our history since 1973 has been unwilling co-operation with what many UK politicians of almost all persuasions have seen as an over-mighty institution. The cry has constantly been, ‘We joined a Common Market: we never signed up for a European super-state’. The continuing refusal to accept the judgment of the ECtHR (which people who really should know better nevertheless confuse with the CJEU) on votes for prisoners in Hirst v The United Kingdom (No 2) ­– now twelve years old – is just another symptom of the disease. Nor did the recent Brexit debate do much to dispel that notion: at least some of the argument on the Remain side seemed half-hearted, presumably because at least some of the Remainers merely wanted to stay in the EU faute de mieux, rather than because of any positive, principled commitment to a wider Europe. And that general political unease has spilled over into a popular distrust of immigrants who, on little or no evidence, are accused of taking jobs away from the locals and depressing wages. Coupled with that distrust is an increasing unwillingness to be confused by the facts. The then Justice Secretary, Michael Gove, told a Sky News question and answer session that ‘people in this country have had enough of experts’. I fear he is right: and a major casualty of that attitude has been one of the core liberal values – the willingness to look at things dispassionately, to weigh the evidence and to come to a decision based on rational principles rather than prejudice. So when organisations such as the widely-respected Institute for Fiscal Studies tell us that immigration from the EU has been broadly beneficial to the UK economy, people just do not want to know. The media criticism of ‘unelected judges’ in Strasbourg has now segued into criticism of unelected judges in the Royal Courts of Justice. On 4 November in the aftermath of the High Court’s ruling in R (Miller) v Secretary of State for Exiting the European Union, the front page of the Daily Mail carried pictures of the Lord Chief Justice, the Master of the Rolls and Lord Justice Sales with the screaming headline: ‘ENEMIES OF THE PEOPLE’, then went on to report that ‘MPs last night tore into a panel of “out of touch” judges for ruling that embittered Remain supporters in Parliament should be allowed to frustrate the overwhelming verdict of the British public’. The alternative view is that the strongest Divisional Court that could be assembled had given scrupulous consideration as to whether Article 50 TEU could be triggered simply by Government action under the Crown Prerogative or whether it required approval by Parliament in some form or other – and had come up with an answer that did not please the Mail. Even worse, the most charitable description of the subsequent statement by the Secretary of State for Justice and Lord Chancellor, Liz Truss MP, in support of the judiciary is ‘pusillanimous’. But is there a debate to be had? Surely we already have ‘democratic control’. If elected politicians object to the outcome of a particular case, the remedy is in their own hands: they can overturn the decision by legislation. Any more than that, and we are on the slippery slope to a ‘people’s court’ – judicial decision by popular vote. Or as the Third Reich called it, a Volksgerichtshof. SUGGESTED CITATION Cranmer, Frank: On the Slippery Slope to a ,People’s Court', VerfBlog, 2016/11/10, https://verfassungsblog.de/on-the-slippery-slope-to-a-peoples-court/, DOI: http://dx.doi.org/10.17176/20161110-164239.